Kate Eno will serve as BFR’s new Volunteer Coordinator! 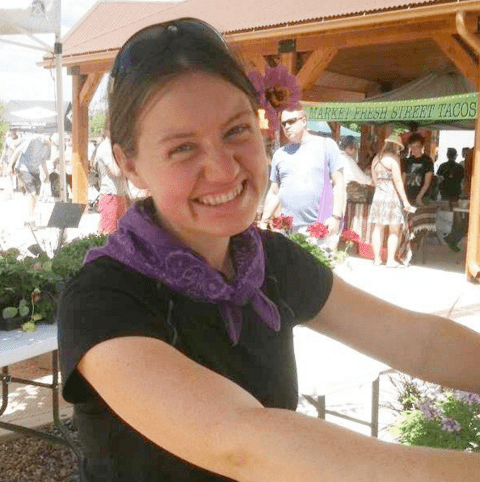 After nearly two years of bouncing around and working on organic farms around Colorado, Kate is thrilled to come to settle in Boulder and join the delightful and dedicated group of humans at BFR! 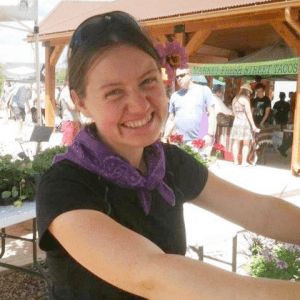 Kate first encountered BFR when a volunteer came around while she was selling organic produce at the Boulder Farmers’ Market. She is super excited at the way that BFR supports her greatest passions – good food, environmental sustainability, social justice and community. Kate’s previous life adventures include coordinating a weekly community meal in small-town Iowa, preaching the gospel of local, organic produce at the grocery co-op in her hometown of Lincoln, NE, and living out of a backpack for a year while farming and eating her way across Southeast Asia and Central America. Nowadays, when not BFRing, Kate loves to whip up some nutritious yumminess in the kitchen, immerse herself in Middle Earth adventures, or get out for an exploratory hike or bike ride around town. She also has an enormous sweet tooth and a bit of an addiction to making experimental vegan baked goods filled with fruits and vegetables.